Door seal set for Hensel ENYSTAR system. With this set any ENYSTAR housing can be retrofit to a sealed type. It is a set of 2 pieces. 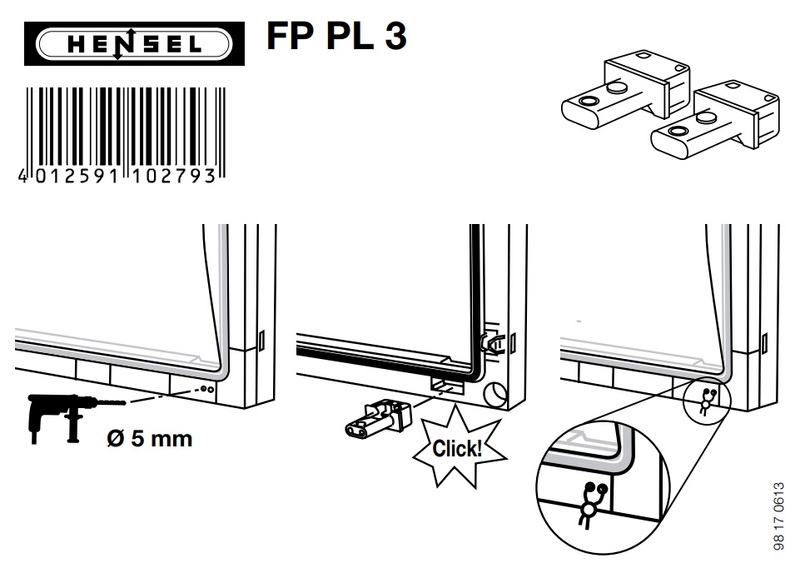 (most doors need 2 pieces for good sealing) These parts can be clicked into the standard door frame. (With a screw driver it is possible to remove them again) The ENYSTAR door does need to be drilled through, otherwise the sealing wire cant pass through. The doors already have dimples where the holes need to be made, so its an easy job to modify a door. The modification has no infleunce on the IP value, the holes are outside the water seal area.